Quality gown : 5/5 Quality service : 5/5 Quality make up : 4.5/5 Terima kasih luminous yg bantu Hari-H sy berjalan dgn lancar dan mantap. Semua pada puji baju dan make up sy bagus. Alasan sy ksh make up 4.5 bukan 5 krn muka sy breakout bgt keesokan harinya. Mungkin krn tidak cocok dengan kulit sy. Staffs nya semua friendly dan sgt helpful. Terima ksh byk untuk Ci Agustine & Ci Helen juga yg ramah n sll welcome sy. Model gaun luminous byk bgt sp bingung milihnya tp modeny modern n uptodate. Jg pst nemu yg di mau asal sabar nyari ny saking byk nya. Definitely recommended. Jatuh hati sama luminous pas di pameran dan ternyata hasilnya emang memuaskan.. deg2 ser karena badan ga kecil dan langsing, tapi team luminous berhasil menemukan gaun yang perfect buat badan aku. Service dari team luminous juga sangat memuaskan.. pokoknya kita di treat uda kaya temen deket sama team luminous. Ci agustin friendly, selalu berusaha memenuhi kebutuhan bride. Ci ellen dan kak ririn sukses bikin aku dipuji semua tamu dgn polesan yang ajaib (padahal aku berkantong mata banget gara2 ga bisa tidur h-1), hairdo yang entah bagaimana dibuat dgn cepat sekali tapi wow hasilnya dan sesuai yang aku mau walaupun agak ribet. Pro banget team hairdonya. 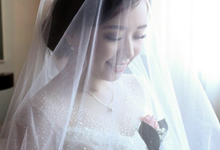 ci nana bisa membuat gaun bride perfect di badan aku (menutupi bagian2 yang mau ditutupin. Hahaha) sampai semua bilang langsing. Thanks banget luminous.. all of you made my big day perfect. No Better appointment to meet our designer. We serve clients wholeheartly. Once in our brides’s life to prepare their wedding. We wants them to have best service . They are in good hands when choose us. 1 week - 1 month before wedding. We provide gorgeous gowns with good price. And we serve to make custom wedding gown. 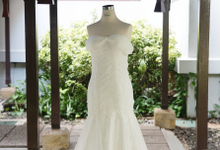 We can modify the gowns to make the bride can have their dream gown. We serve make up for the groom, bride and family. We also serve make up for special moment like prewed, engagement, and party. Please call 021-4516315. WA 081213400688. We provide new gowns and also make by custom. For second gowns, we rent with very good price. 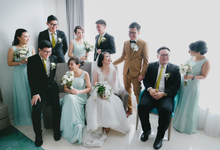 About 6-12 months before wedding day is the best, but we can help brides even though in short time. 40% for DP. 40 % before prewed, or six months before married. 20 % a month before wedding day. Gown Guarantee Payment a month before wedding day. 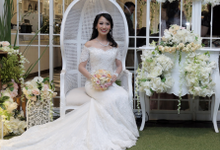 You can make an appointment with our designer to share and discuss your dream wedding gown. 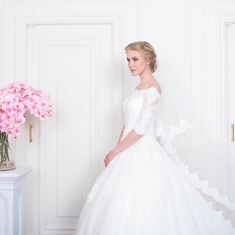 Luminous Bridal is not only provide wedding gown and make up. 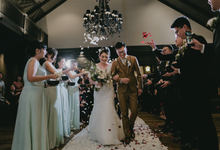 We can help the bride to find tuxedo, wedding cake, wedding car, wedding organizer, wedding ring, hand bouquet and photography with our trusted vendors. At least six month before...but further than a month is better. Our make up artist are experience in doing hair and make up for bride or party. With good price and good result. We always discuss with our customer and making them feel comfort to share their wishes ..
Luminous is focused on providing high quality wedding gown with good price and customer's satisfaction. 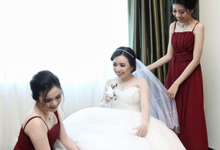 You will not just find a beautiful wedding gown and professional make up artist here. We give you more. We serve our clients wholeheartedly . We make Custom Made too.